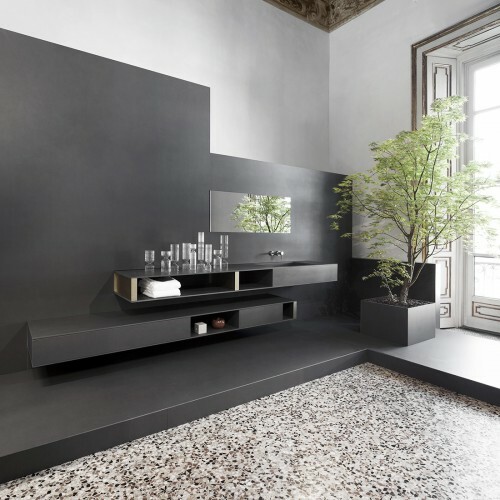 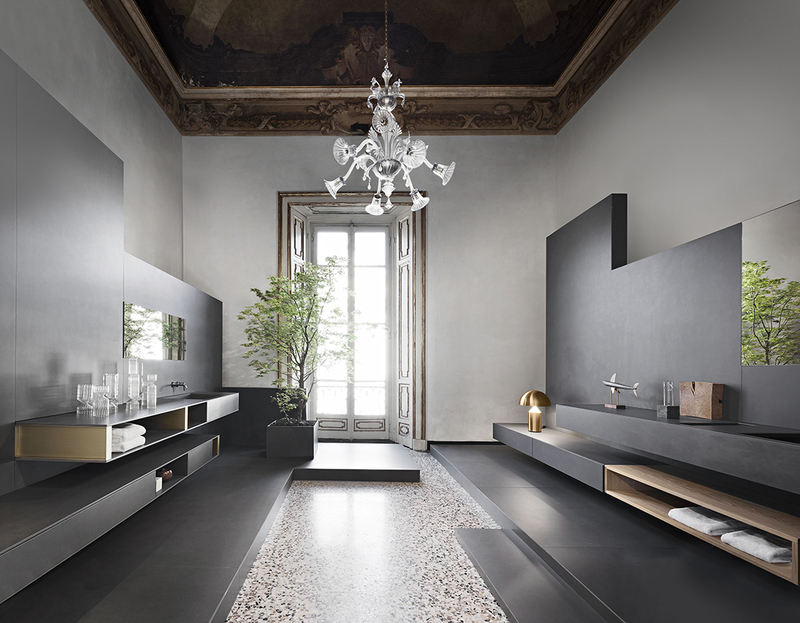 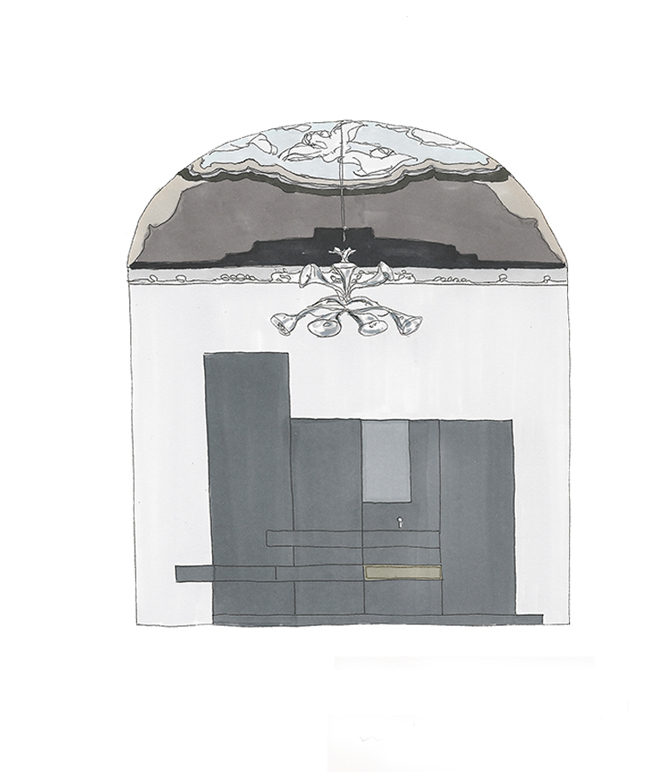 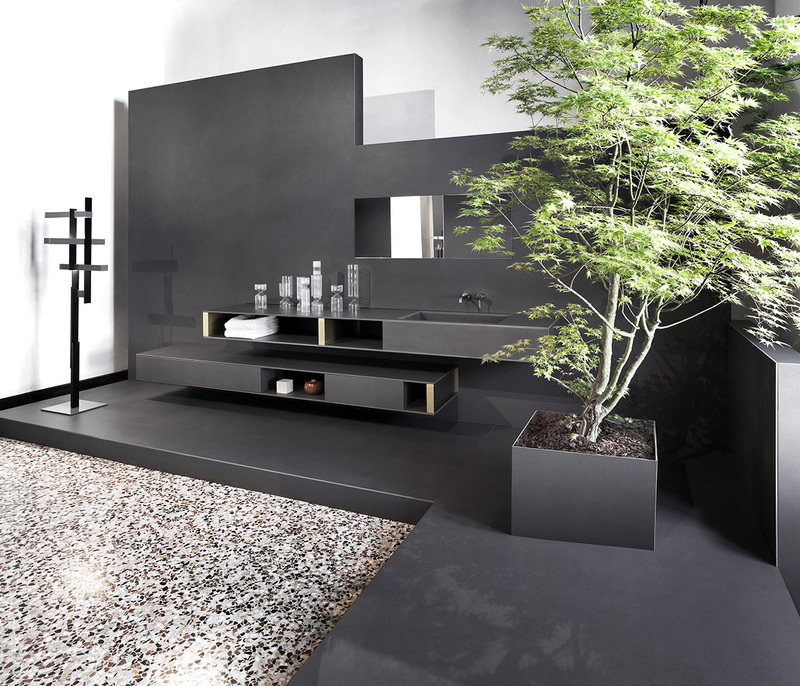 At Palazzo Litta we present two series of bathroom furniture scenographic set-up called Continuum. 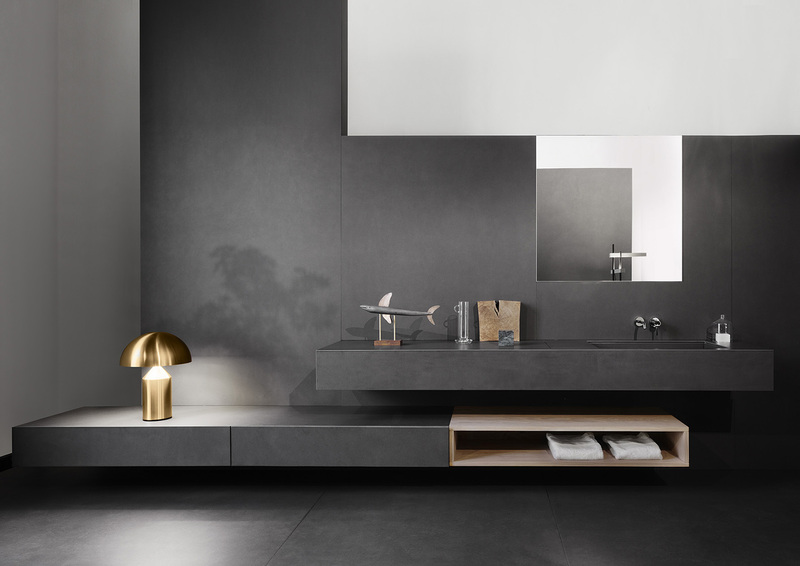 The preview of a collection which comprises two series of furnishings for the bathroom explore the boundaries between furniture and architecture, surfaces and products, in a series of whole system compositions, as simple as they are monumental. 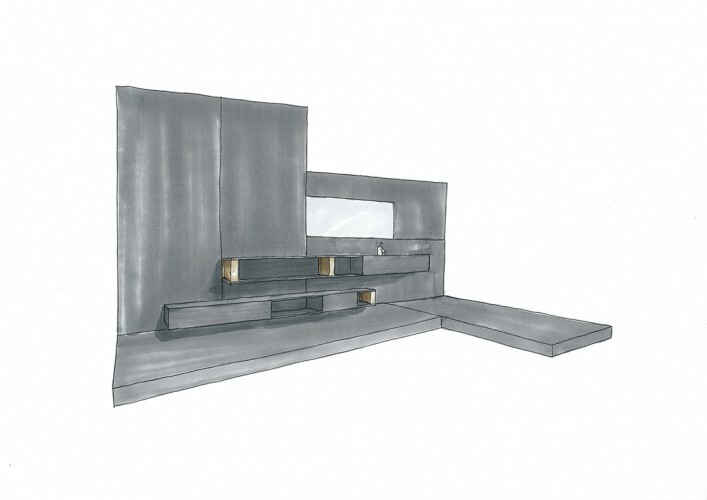 The starting point is the material: a natural conglomerate of the latest generation, eco-compatible and high performing, which, usually used in sidings and casings for interiors and exteriors, is instead molded into very thin sheets to give shape to a series of modular furniture that can be combined in different, custom ways.